Alberto Cairo first began visualizing data in 1997, when there were few books on the subject. “And obviously we didn’t have social media to connect to each other, or even weblogs,” says Alberto, who teaches data visualization at the University of Miami. Alberto is delighted things have changed since. Today's data explorers have a trove of resources including each other. “There’s a growing knowledge community that I am happy that so many smart people are contributing to,” he says. And in the spirit of community, he recommends these “little gems”—lesser-known worthy reads for data explorers. “In my opinion, this is one of the most beautiful overviews of the world of visualization—not just data visualization, but information visualization in general,” says Alberto. 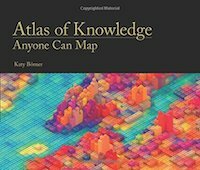 But Alberto says this book is more than just a pretty cover; it contains lessons on a variety of topics including relational structures, data mapping, and statistical charts. “There are some really interesting insights in the book that people can learn from,” he says. This book has been around for several years, but Alberto says it still serves a vital purpose for the business user. He says Few took the teachings of Edward Tufte and worked out a practical, easy-to-follow guide. That’s where Few comes in, says Alberto. “He condensed all that knowledge into a series of books that are extremely practical for the business reader. And that is the value that Steve’s books have, all three of them. And he has a fourth one coming out, but Show Me the Numbers is still my favorite,” Alberto says. 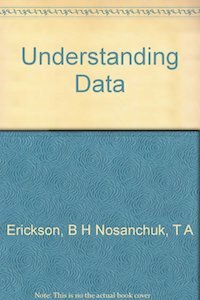 Alberto says this book offers specific guidance on a perennial question: how best to visualize your data. “When we talk about visualization, most people talk about presenting data to people. We don’t talk that much about using visualizations just for ourselves, just to explore our own data,” Alberto says. 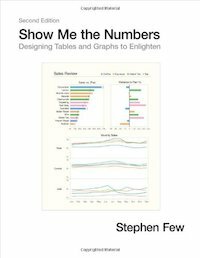 This book teaches non-statisticians how to use charts to explore their data, says Alberto. The lessons are based on the teachings of statistician John Tukey, whose own writings may prove too dense for non-experts. “What these two people do is to take Tukey and then translate it into lively language and very readable style. But it’s still keeping all the depth of Tukey’s teaching,” says Alberto. This book won’t be released in English until the end of the year, but Alberto has had a chance to review it in Portuguese. Camoes’s book builds on Stephen Few’s work and explains how to create beautiful business visualizations, says Alberto. “He doesn’t just talk about principles of analytics or principles of business communication; he also talks about principles of graphic design,” he says. 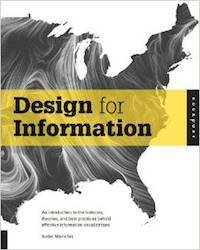 For additional books on data visualization, check out Andy Cotgreave’s list of must-reads. You can also peruse Alberto’s bookshelf on the “What I’m Reading” section of his blog. Alberto Cairo is the author of The Functional Art: An Introduction to Information Graphics and Visualization. His next book, the Truthful Art, is due out in March 2016.
experience at the WSJ, her examples are very business oriented. It's sort of Edward Tufte meets Stephen Few. Also, it is physically a 'little gem', not a coffee table size book, so it easily fits on your workplace bookshelf.